Hi loves! 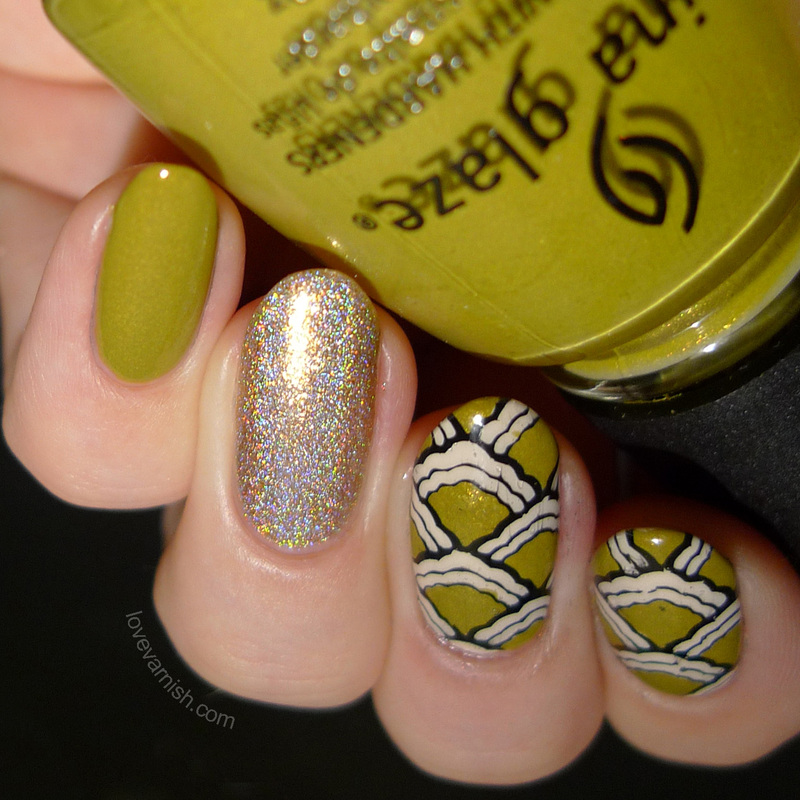 Today I have some more stamping decals for you, this time using China Glaze Trendsetter. 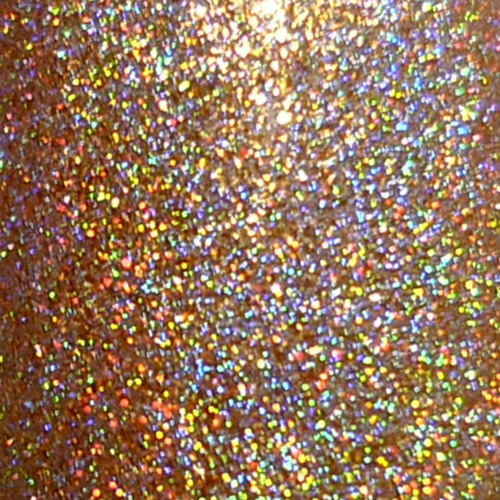 When this polish was released as part of the Metro collection for Fall 2011, there were 2 emotions expressed towards this shade: love and hate. I don't think there's a feeling in between for this shade, you either love it or hate it! Clearly I'm part of the love group as I even bought a shirt recently with this color ^^. And that's how this manicure came to be. To create this look, I used a few polishes: China Glaze Trendsetter (obviously), OPI My Vampire Is Buff (base for the decals) and F.U.N Lacquer TGIF for a bit of added sparkle. The decals were created with MoYou London Sailor 05 and stamped on a silicon mat, filled in with a small nail art brush and Trendsetter, after which I placed them on my base of OPI MVIB. Unfortunately I had some bleeding of the black stamping when I brushed the clear backing on my decals. Konad Black smears very easily for me so I won't be using it anymore I think... 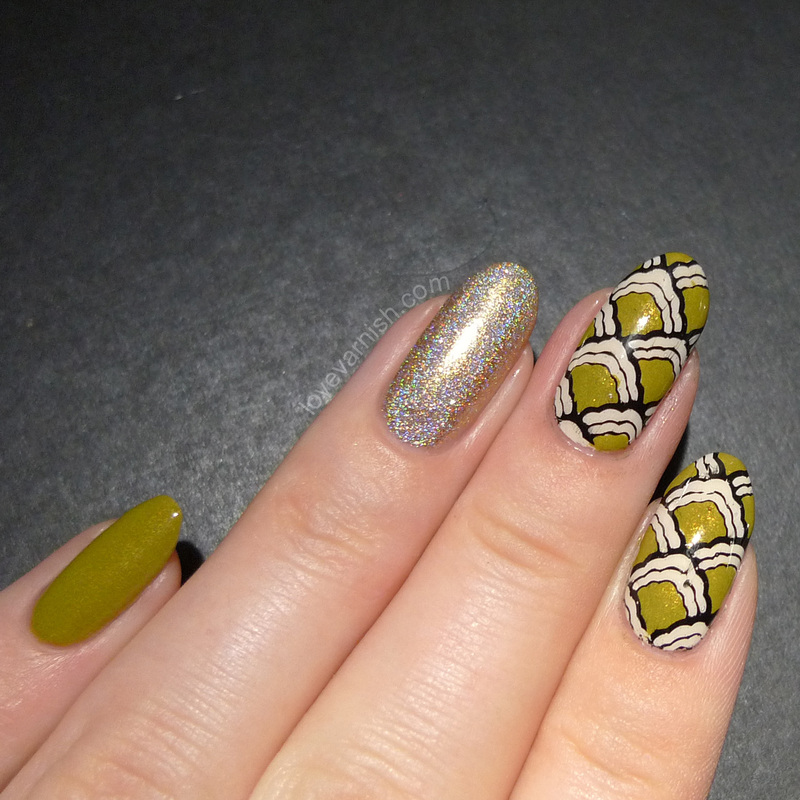 I do however LOVE how China Glaze Trendsetter and OPI MVIB look together ♥. What do you think of China Glaze Trendsetter? Love it or hate it? Tell me in the comments! this is beautiful and so groovy! Looove this! I love this colour too. I love how you paired it with MVIB. Works beautifully! I love the shimmer in Trendsetter! Love the mani and love the pea green color. Green is my color. Any green, all green, and even pea green. The first color I thought of when I saw this was Nicole by OPI's Sweet on Pete from last spring and I got excited because I thought I had a dupe for this but it is a bit too yellow, and Sinful Colors has one called Curry Up that looks close except Curry Up is filled with subtle blue microshimmers. I missed this collection but I could use that creamy pea green in my collection since I couldn't find a dupe for it. That is really pretty. Thanks for bringing it back out for show and tell. Whatever you do, whatever shade you use, I always end up liking it. 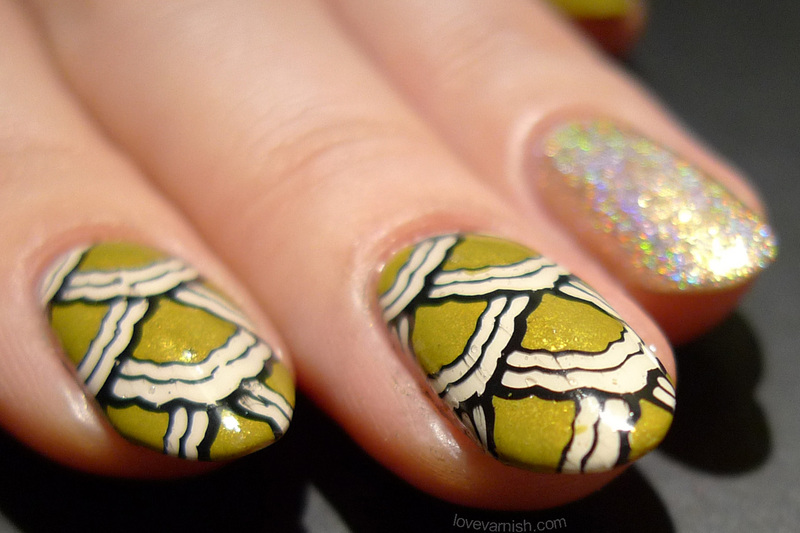 woman, your nail art is awesome! This is awesome! Great colour, gorgeous decals! It really is! Thank you :-). Aah bummer! But maybe decals like these would work for you? I think you might be picking them up too quickly, so they are too flimsy. Groovy is the perfect word indeed! It makes it SO much prettier! I had fun coming up with the look! Thanks Cindi! 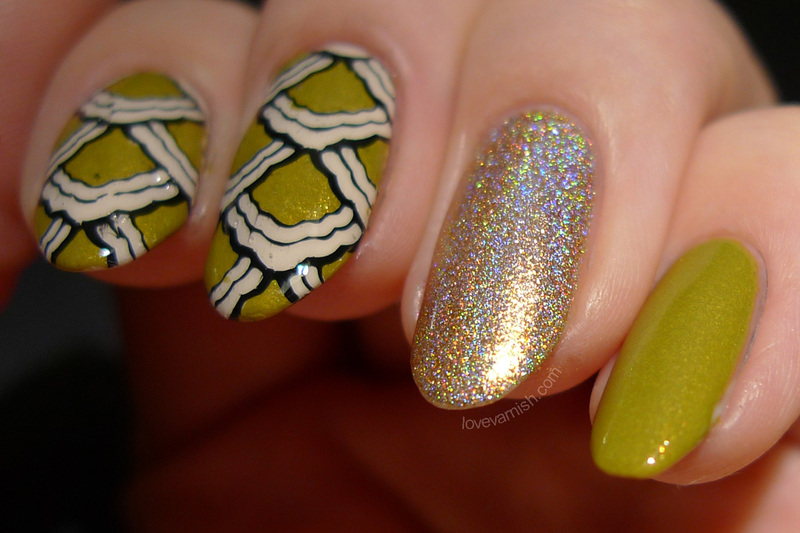 I had too google both of those shades you mentioned and indeed, NOPI is too yellow and bright and the SC seems too bright. Maybe try and see if you can find this shade somewhere? Bet it's still available! Aww, you are making me blush! That's such a sweet thing to say ♥ thank you! I'm in the love group too! I really like that colour!